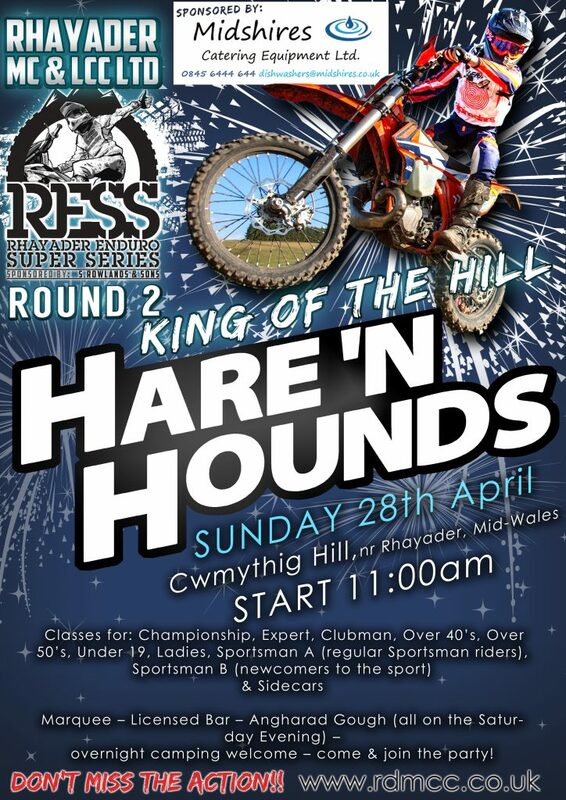 The lap will include both motocross tracks at Cwmythig plus nearby fields making up an enjoyable lap for all abilities. Classes for: Championship, Expert, Clubman, Under 19’s, Over 40’s, Over 50’s, Ladies, Sportsman A (regular Sportsman riders), Sportsman B (newcomers to the sport) & Sidecars. 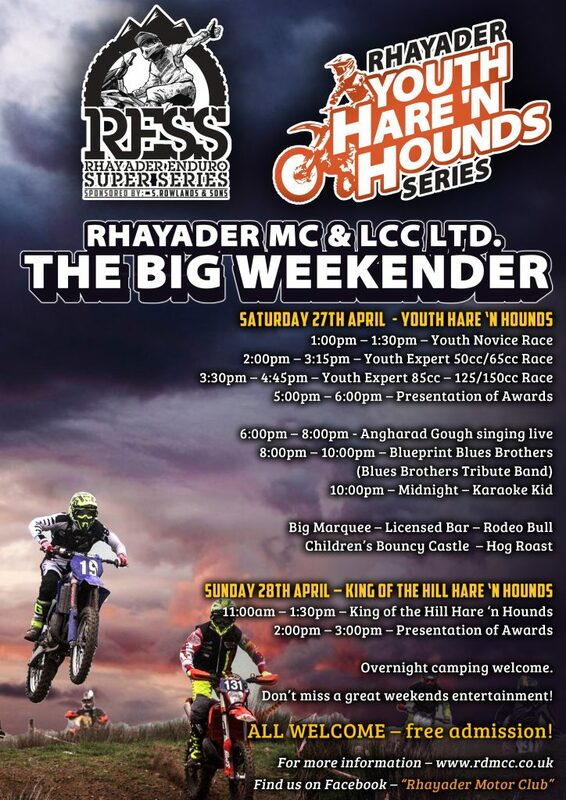 Marquee – Licensed Bar – Hog Roast – Children’s Bouncy Castle, plus the brilliant Angharad Gough singing live (all on the Saturday night) – why not come along & join our party! – Overnight camping welcome.